Address: 801 Room，16 Building，1+1 City Center, Jiyang East Road, Zhangjiagang. Package: Paper or powder interleaved pieces, easily-dismantled iron racks and wooden crates packing, easily storage, and suitable for long distance sea and in land transportation. 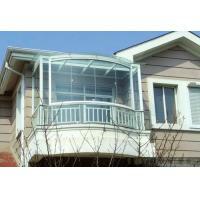 Clear, tinted, color glazed, coated, Low-E, IGU and laminated glass et. Color: clear, ultra white, various green, blue, gray and brown. Accordance with GB15763.2-2005 Tempered Glass Standard. Pass Chinese Safety Glass Compulsory Certification(CCC). 1. 12 years experiences on glass manufacturing and exporting. 2. We sign an agreement with sereral university, the orientation of talent training. We have more than 90 technicians and other 1000 staff members, with strong technical support and production capacity. 3. Our factory close to the sea port, transportation is very convenience. 5. Unique designed strong wooden cases and container fixed method can solve the problems of breakage.